Asia is renowned for their cafes. From the uber stylish ones to crazy toilet ones, it is guaranteed there is a cafe to suit everyone’s discerning needs. As such, the Japanese website retrip has rounded up the very best cafe’s around Tokyo so you don’t have to do any of the heavy lifting. Be sure to check these out next time you are out in the country of the rising sun(or Gundam, whatever you prefer). Japanese netizens go crazy for LOTUS’ bear shaped chocolates, red wine walls and loft-like staircases. Not quite sure what the appeal of the red walls are since they remind me of something out of a horror movie than a concept that belongs while I drink my double, soy latte. But hey, who am I to judge. A more apt name might be “stationary” cafe instead of the meaningless bunbougu name that is bestowed upon this place. The best way to describe this concept is a place where you can come get some sweet eats with the ability to doodle while you are here. Sort of like showing up to your niece’s house and using up her crayons while eating a bag of cheetos. Anyhow, the lunch mat that you are given doubles as drawing paper. Not only are there stationary items available to use, but diners have the option of purchasing the stationary if they want. Either way, its a pretty interesting concept that probably will not make its way over to the United States soon. Take a 360 view inside of the cafe right here. Flamboyant on the outside, equally eclectic on the inside. That statement best describes the decor at Flamingo cafe, which takes its name from the bountiful number of flamingos that dot the premises. At night, the outside sparkles with a light wall that rivals what you find on Times Square. Inside, warm cakes and desserts keep your spirits high and your soul extra warm. Q-pot cafe is known for its rooms. Not just any room mind you, but rather, themed rooms that each come with its distinct character and feel. With 9 different themed rooms ranging from a decadent strawberry themed room, to a room that is an ode to teeth(random, yes), as well as one room that comes with a drink counter, you are bound to find one that suits your wide ranging mood swings. Frankly speaking, I don’t find the decor as kawaii as it is seizure-inducing, but hey, to each their own. Once you enter this cafe, a cake themed merry-go-round is greeting you front and center. In addition, the cafe/restaurant is split up into 4 zones entitled “mushroom disco,” “milk stand,” “bar experiment,” and “monster girl,” which tells us absolutely nothing about what the zones actually are. Among the most sought after and interesting offering here is their multicolor spaghetti whose purpose is to mimic a painter’s paint plate. The Sekielberg website makes me think I’ve fallen into some warped psychedelic binge that I can’t get out. The spot is actually comprised of a cafe on the 1st floor and an art gallery on the 2nd. Collectively, they describe the weirdness that is Sekielberg cafe. The owners are an eclectic bunch that fits the decor to a T. More importantly, the “magical muffins” and the dry curry are the two things you must get. Named for its own mascot, Mr. 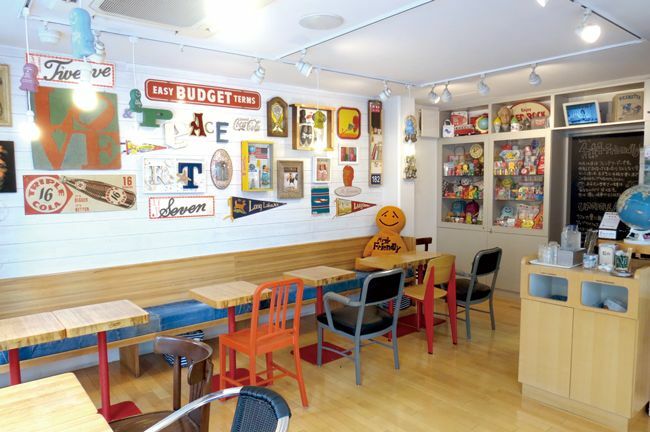 Friendly cafe is an ode to a gingerbread looking man. In fact, the most popular item here is the Mr. Friendly hotcakes. Cafe goers have commented that eating here is like eating inside of a fairy tale. I can totally see it with the colored macarons and decor giving eaters the impression you are sitting in the forest without actually.. you know, sitting in the forest. HATTIFNAT’s concept is a children’s picture book and in fact, is derived from the same story line as the Moomin cartoons. The Hattifnats are thing, ghost-like creatures that are part of the Moomin storyline and this cafe looks to give fans the experience of being inside of the story. Part industrial grunge, part hipster central, all trendy. That is essentially MOVE CAFE at its core. Known for its dessert plate decoration and latte art, MOVE CAFE is a low key oasis, swallowed by the hustle and bustle of Shinjuku outside. 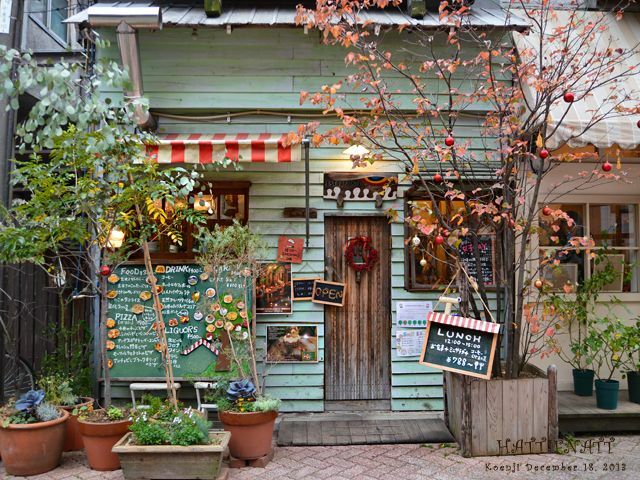 Cute food in a cool space, this wonderful cafe is conveniently located in the midst of Shinjuku. Great to help take the edge off of the shopping you’ll no doubt be doing in the area.